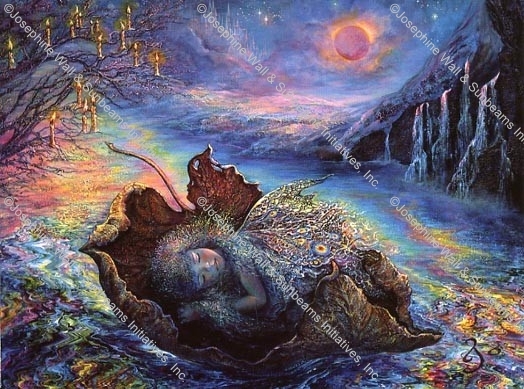 The little fairy nestles safely in her delicate leaf craft and dreams of her busy day on her journey back to fairyland. With magical candles to light her way, she is gently carried home along rainbow currents. All around her water spirits are hiding as they watch over and protect their sleeping friend.